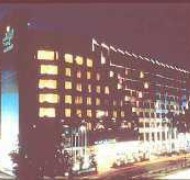 Established in 1985, Holiday Inn Park View has become one of Singapore s prime spots to conduct business and mix leisure. Conceived as a fine 4 star hotel, providing reliable and personalized service to every guest. Conveniently located near the commercial, shopping and entertainment district, the hotel is a 5 minutes walk away from the Orchard belt and a 6 minutes walk to the Mass Rapid Transit (MRT) station. Changi Airport is only a 25 minutes drive away. All guest rooms are stylishly decorated and fully equipped with a range of amenities including coffee and tea making facilities, in-room safe, mini-bar, hair dryer, data port, TV and voicemail phone system.